I was asked to assist a friend to get Alexa (Amazon device) setup and operational. Alexa is a wireless device which can take commands in the form of the spoken words, interpret these and then take actions as appropriate. So for example if you said “Alexa – please play Classic fm” Alexa should respond by playing Classic fm via the Internet using the Tune-in radio service. The basic method for setting it up is to load a free App on your mobile phone/ipad etc, then open it. You are then prompted to connect to Alexa which appears with its own wireless SSID. Now enter the details for you home Wi-Fi network (which would usually be hosted on your Broadband Service provided router). You need to enter the Network SSID and any password associated with it. I tried this but it failed to work at my friends home. BT is the broad-band provider and they provide a BT hub/router. Each time an attempt to connect was made Alexa simply reported that it had failed to connect to the Wireless Network – no clues as to why this might be the case. Tried phoning the BT broadband service hotline and under their instruction did a factory reset of the BT hub and Alexa – still no success in connecting. I was at the point where I was about to suggest that the device might be faulty and should be returned to the manufacturer under warranty. I decided to take the Alexa to try the same procedure on my home location where I have the same setup. For me it worked without any delay. How strange this seemed! Took it back to my friends home/network to have the same negative out-come. After many attempts I was about to give up on the device. But then I thought that there could be an issue with the Wireless Network configuration . I noticed that the BT Hub has two wireless networks which are based on the older standard 2.4GHz and the other being 5 GHz. Which of these was the Alexa connecting to . I decided to separate the two networks and give each network a unique name. The original name for both was BTHub5-3X5Y or similar. Both wireless networks had the same name. 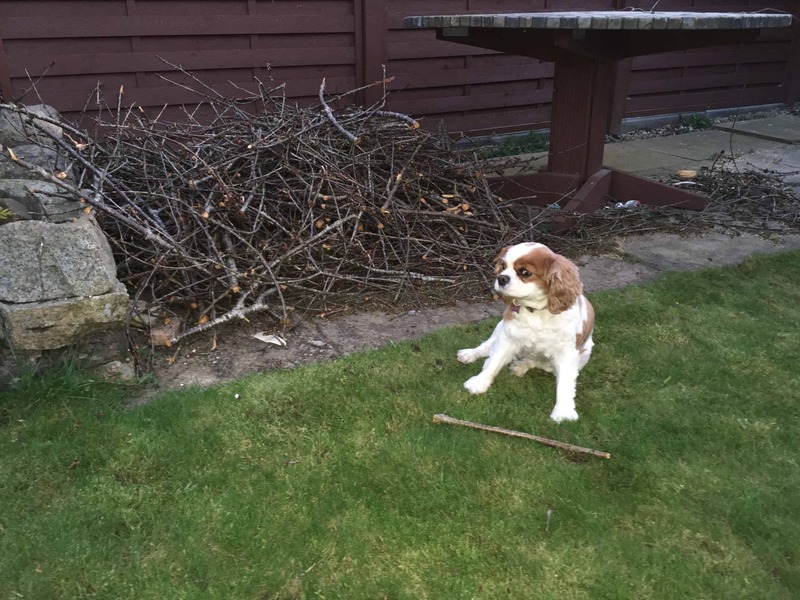 Abbie passed away on 8th September 2016 after a long struggle with a heart condition which caused here considerable destress on ever increasing frequency. She will be missed greatly particularly by Linda who’s was her “Mummy” since Abbie moved to live with her in Glasgow all those years ago. Abbie has been in our family for about 9.5 years. She was one very affectionate dog she did like to find the best seat in the house despite being told many time “a dogs place is on the floor” (DPIOTF). 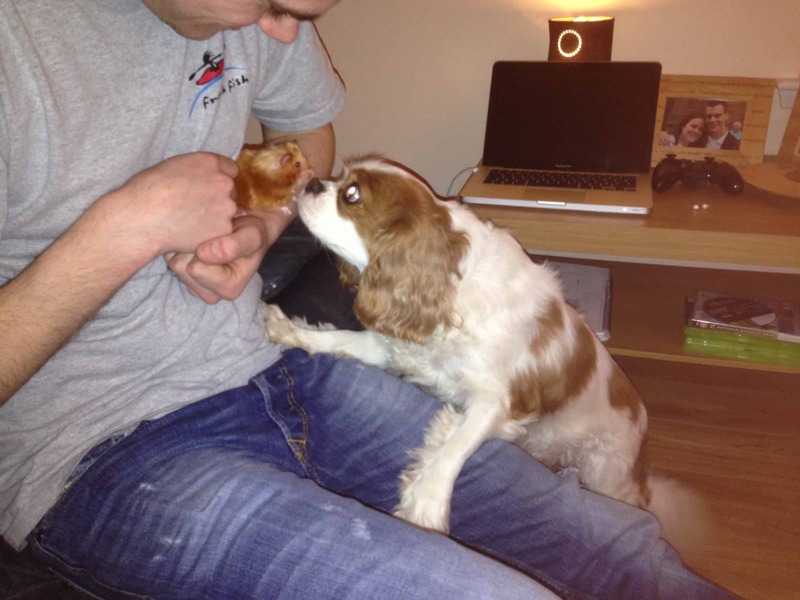 We will all remember her very affectionate cuddles – she loved to climb onto your lap and then put here front paws around you neck and then she would wail/cry – there was no doubt that this little dog definitely had a strong connection with the humans who were close to her. Even after a few months of not seeingher she would always pick up where she left off. We will miss the Skype sessions we regularly had with her when she could come close to the computer screen and listen intently to what we were saying from the other end. She definitely know us and recognised us even when presented on the computer screen. There is no doubt that even tho a dog is an animal, that share many of the emotions of a human and they undoubtedly “understand” human feeling – Abbie showed this so many times. I remember times when she would see that one of here humans was upset and she would move close to offer support, consolation and comfort. This was true and plain to see right up to and including the few minutes prior to her peaceful passing. 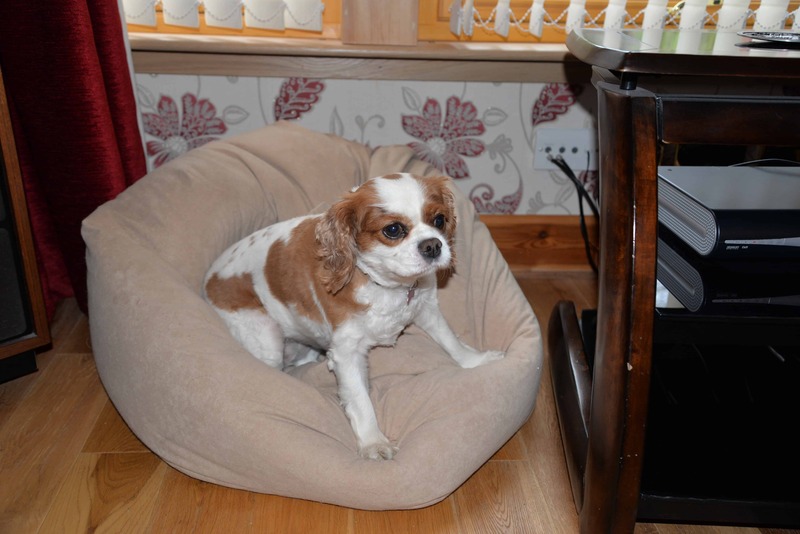 Abbie was a sister to Hollie and seemed at time to hold the position of “top dog”, there was no doubt that Hollie was always happier visiting our home when Abbie was not around – Hollie seemed to know her pace and would know how her place when Abbie was around. I think that despite this dog order they loved each others company and enjoyed having a sleep over from time to time. 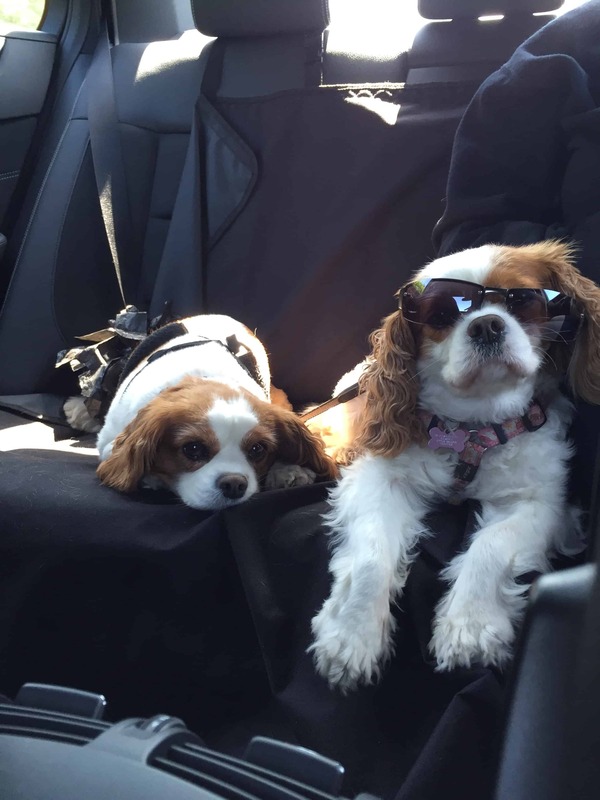 Abbie was definitely one of the family and she will be missed for so many reasons – See below she is sitting on Linda’s lap. When we were traveling to see Abbie for the last time we saw this rainbow which I am called Abbie’s Rainbow – it reminds me of all the happiness what Abbie has brought to our family and Linda in particular. 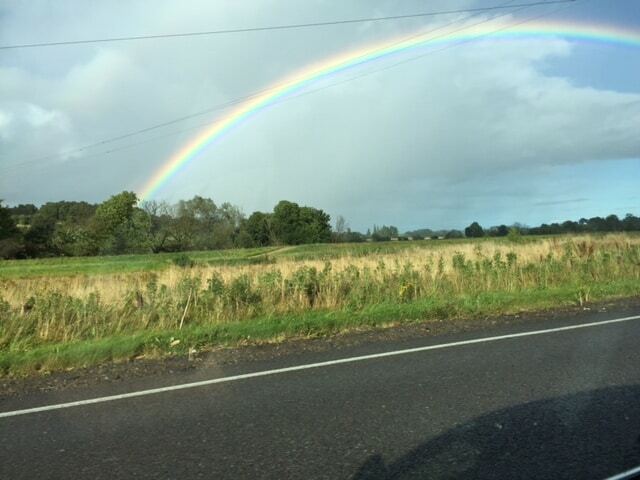 When travelling to Inverness to see Abbie for the last time we saw this rainbow – this is Abbie’s Rainbow. I am happy to Abbie is now free from the pain and discomfort she suffered in recent months but she will be greatly missed. 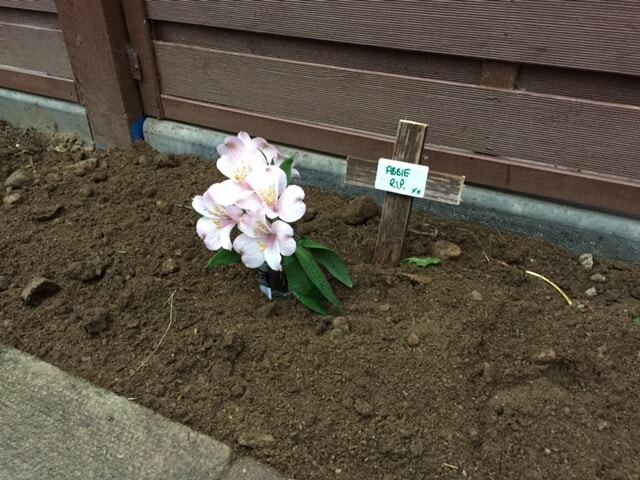 Above is a picture of Abbie and Ethel – now both at rest!!! We were very happy to attend the wedding of Sam and Olivia in Glasgow. 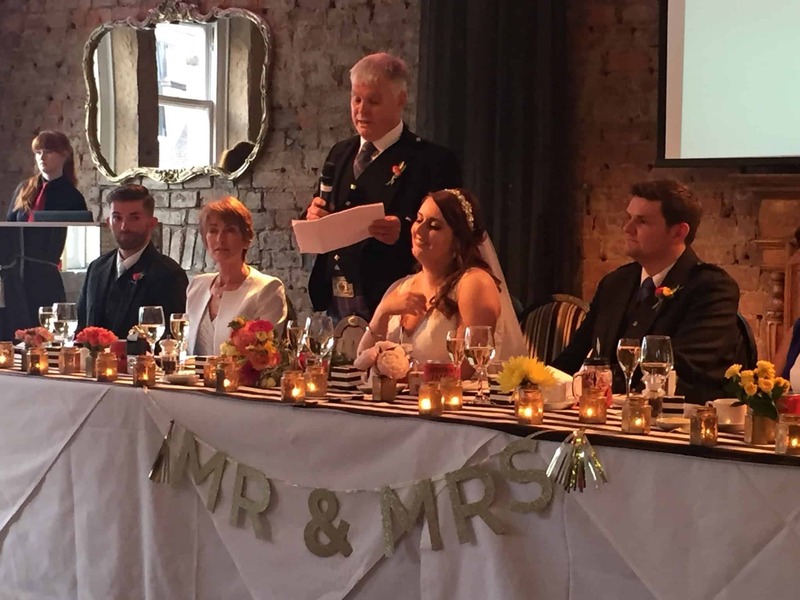 This was a wonderful day – a great wedding at Hyndland Church and then at the reception venue in the city centre of Glasgow. Here is a photo of the happy couple just as the speeches got underway. 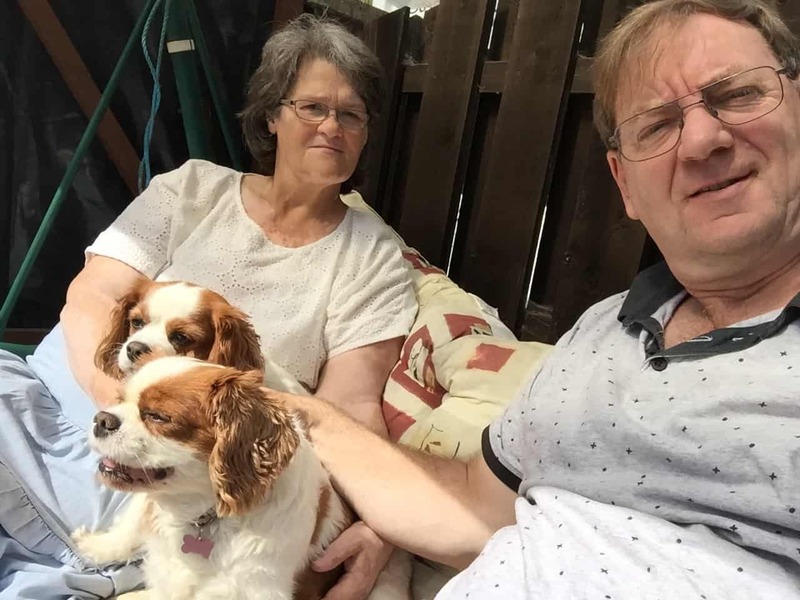 We were heading of on holiday so decided to stay in our caravan at a campsite near by with the intention of getting an early start the following day to travel to our holiday destination. We headed down to Glasgow in the morning and decided to park the care somewhere in the city centre which was close to the reception venue. 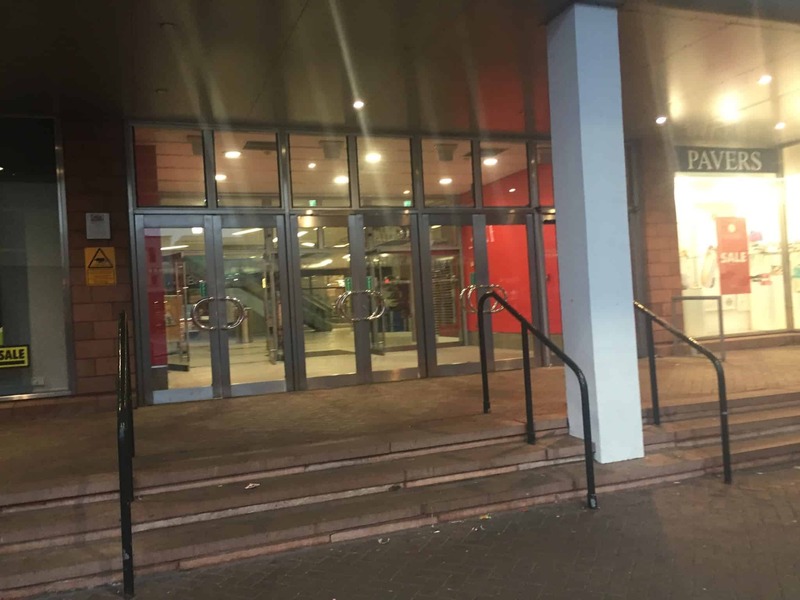 We selected the St Enoch centre which according to its web site is a 24hour and has won awards for having good security procedures etc. So the car would be safe in our absence which was to be most of the day. Late in the evening after the dance part of the reception was well underway we decided to head back to the car to return to our car for the journey back to the camp site. We spoke about the events of the day and all the lovely people that we had met – it was a very pleasurable time for sure!!!! After a short walk we ended up back at St Enochs Centre to find that the front door was locked!!!!! And the side door too was locked!!!!!! You can imagine the conversation at this point! The place seems to be deserted – no sign of security guard all doors securely shut!!! 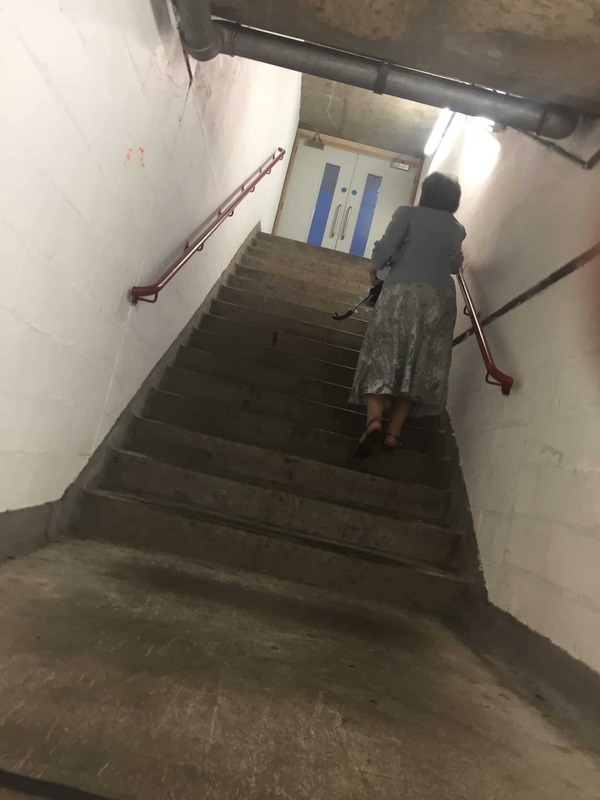 We decided to walk around the building – there was sure to be a way in but no – all access ways were securely locked and not a soul in sight !!!! We went all the way around to the carpark entrance which was now securely shut with a heavy metal gate across it!!!! No way in there!!!! Perhaps we could just book a room in a nearby hotel and spend the night there – imagine getting up in the morning to go down for breakfast dressed in the only cloths we has with us kilt and formal evening dress!!!!!!!!! Or perhaps we could phone our daughter who was in Glasgow and ask her for a lift – then come back for our car in the morning – remember we are towing a caravan and we need the car to tow it!!!! There was no-one around to ask but we decided to try the intercom at the entrance barrier. I after getting to the entrance barrier I pressed the button hopefully!!!! Beep Beep, Beep Beep, Beep Beep….. and then a voice said – “Hello how can I help you” there was a security guard on night duty!! I explained our predicament – picture this if you can me in my kilt and Mary dressed up to the 10’s!!!! Not usual attire for and evening on the town!!!!! Imagine me getting back to there Mary was and having to climb a metal fence – dressed in a kilt!!!! It has its funny side on reflection! 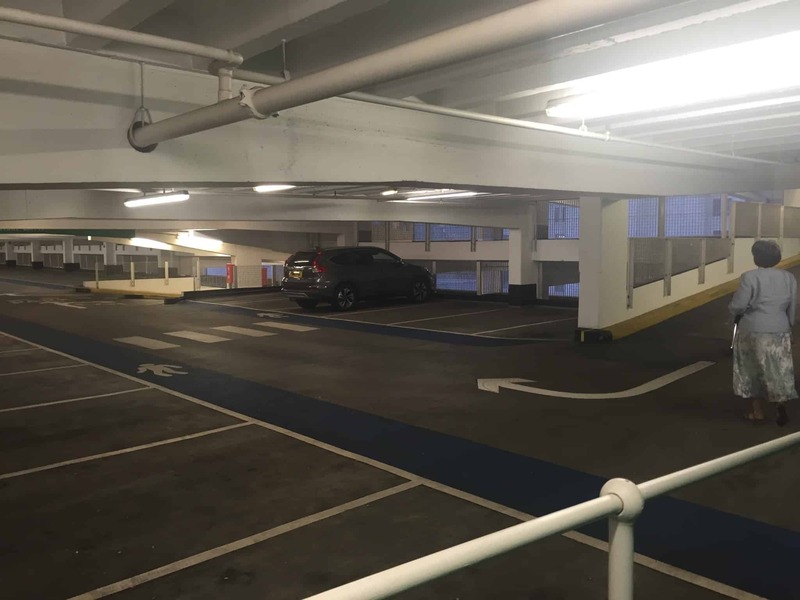 So to cut a long story shot it seems that there is a contingency plan for people who get their cars locked into the carpark at night – this mush have happened before!!! it seems that closing time is 8pm!!!!! It is NOT 24 hour as we had understood….. 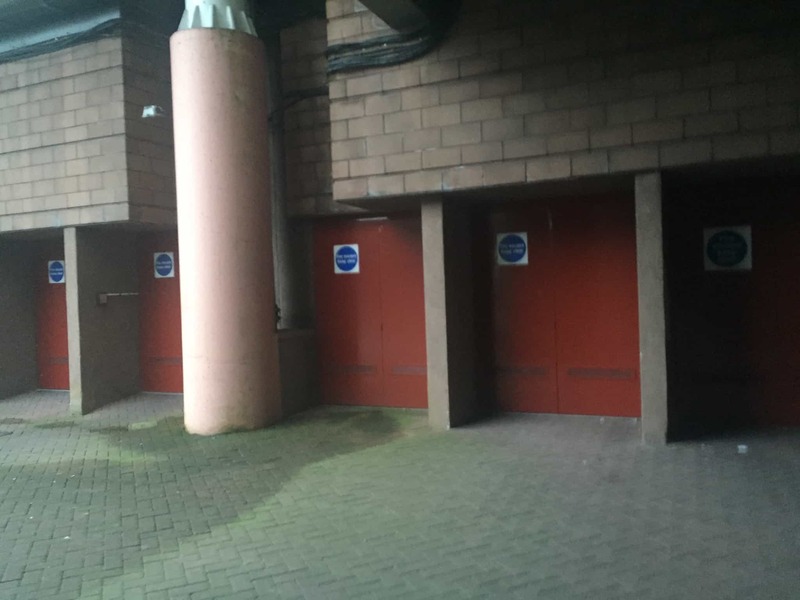 These are the staff entrance doors where there is another intercom where I was again able to talk our friendly night shift guard!!!! He opened the door and we were able to get into the building. We eventually navigated our way around the building till we found our car which was on the 5th floor. The moral of this story is don’t believe what you read on every web site!!! Get the facts corroborated by talking to a real person. I was very impressed with the help-fullness of the security guard we spoke to – thankfully were were able to retrieve our car and get back to the camp site for a good night sleep before carrying on south to continue our holiday. 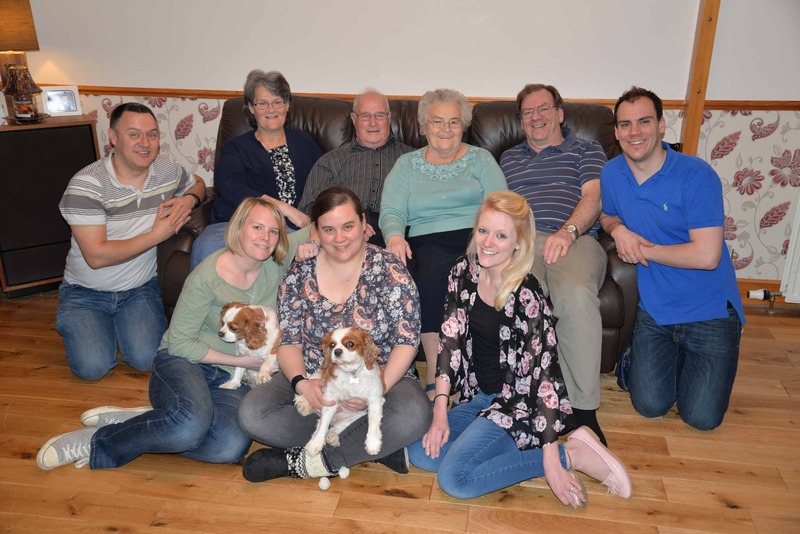 So an interesting ending to a super day celebrating the wedding of Olivia and Sam – thanks to them for the invitation – it was amazing catching up with family members we has not see for some long time – 10s or years in some cases !!!! A very happy day with an unexpected ending!!!! 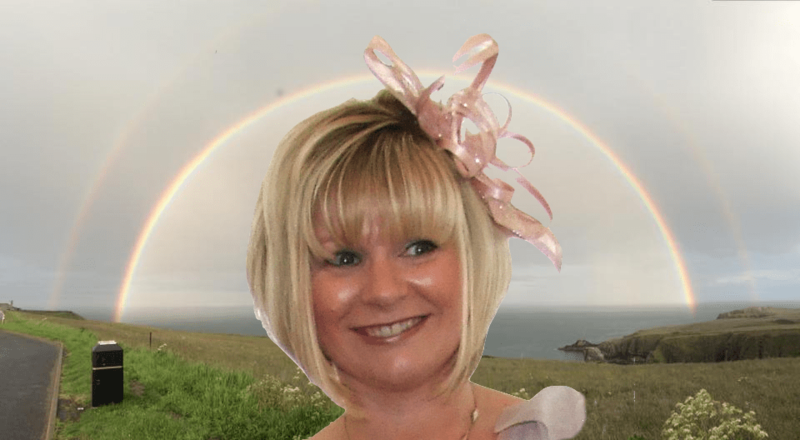 Today 4th July 2016 we say our final earthly farewell to Paula – this will be a bitter sweet day which will be charged with a combination of relief and an intense sense of loss. Relief that Paula has come to the end of her time of trial and the suffering that she had to endure because of her illness but also the personal sense of pain of loosing her with the realisation that we will not have her company in this life again. I cannot really find the words to express my own sense of loss and sorrow today and I know that I cannot really imagine how her closest family members will be feeling at this time. My prayers are with her husband Ian, children Emily and Joe and of course her parents and brother in particular. 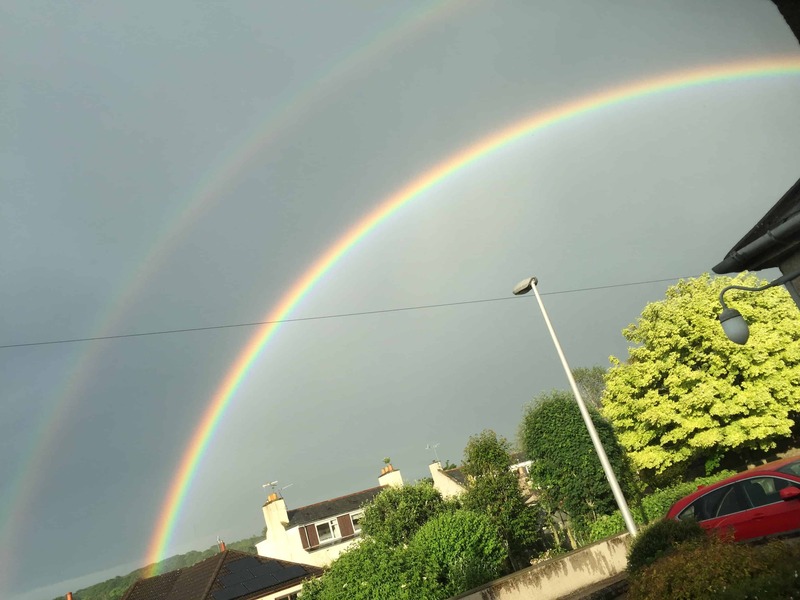 During the last week we have seen mixed weather with a mixture of sunshine and rain with quite heavy downpours at times – we saw on a few evenings some beautiful double rainbows – quite unusual to see this so often in such a short period of time. Coincidence, perhaps – but I am reminded of the stories my grandparents and parents would tell me about how the rainbow is sign from God at the end of a massive world event/flood. The last year has been very stormy for Paula and her family but now she is at peace. God’s most remarkable sign this week was to provide a double rainbow with two ends – evidenced by a photo taken by my son near Peterhead on Saturday evening as he travelled to take part in the Cancer Relay in support of Paula’s family. I am thinking about this as being Paula’s rainbow who is now at rest and free from the storms and trials of life that she had to endure over the last year or so. Why this had to be I do not know – but I also know that Paula was a lovely person, child, wife, parent, friend and made a very enduring mark on all who knew her. She showed so much courage as she faced the trials of her last months on this earth. Paula it was a privilege to have known you, till we meet again.